Do you need Quick Tax Preparation ,Getting your Tax return prepared in New York City is Easy!! So,How do I get Tax preparation in New York with little Stress ? .There are 3 easy steps to get Income Tax Return Preparation by a professional Tax preparation Firm. Send forms - Get Interviewed - Sign and pickup completed tax return. First, use our Tax Preparation Check list to help you determine how and what income tax related information and forms to send us . Once we have received your tax documents, a MEJ Representative will call you to get all tax-related personal and billing information needed to prepare your return. Your income tax return will be available for signatures and pick up at your convenience. So, don't wait in a tax office for long periods of time or struggle with some kind of tax software; get your return prepared by a professional without leaving the comfort of your home or office. Our experienced professional income tax preparers will conduct an interview with you and answer your questions, both during tax season and after April 15th. We are open all year. To get started today, call us at 212-426-6017 to setup a appointment or to get help determining how to get your documents to us , we’ll answer any questions you have, and ensure you get help preparing your tax return. Mail - W2s, 1099s and any other income tax related documents to the corporate mailing address listed at the following link (Contacts). Fax - W2s, 1099s and any other income tax related documents to (646-827-3628) 24 hours a day. Email- Scanned W2s, 1099s and any other income tax related documents to (Support@mejpbs.com ) 24 hours a day. We accept the tax information in various electronic formats including WORD.Doc, HTML, PDF, and fax. 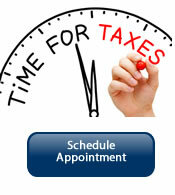 Or drop by the office to get your income tax return prepared. A MEJ representative will call you to confirm receipt of all tax documents and start the preparation of your income tax return. The fee for getting your income tax return prepared will be based on your specific needs.We also offer Tax Preparation service discounts for students and senior citizens. 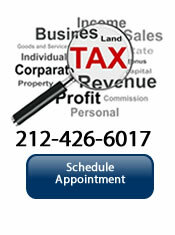 Please call 212-426-6017 to get a free quote for the preparation of your income tax return. Please click on the links below to download some of the IRS most request tax forms to assist you with your research this tax season.